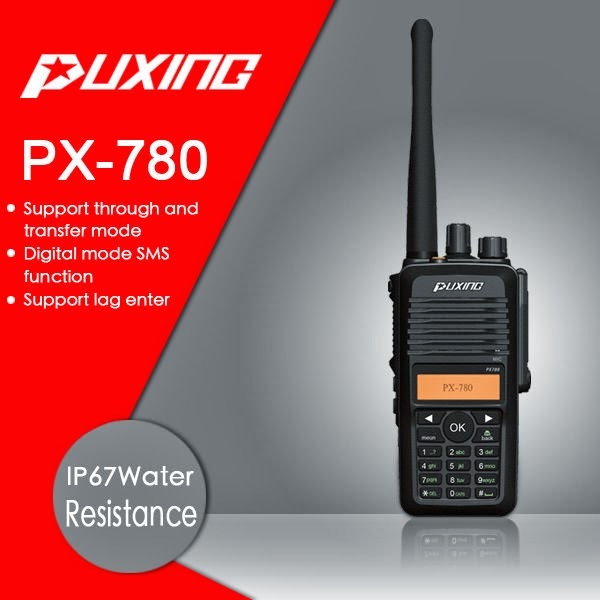 I was browsing the web just now and came across some interesting looking new radios from Puxing. Now, Puxings products have generally been of pretty good quality, but these radios look even better. Both radios, the keypad and screen version, and the non display version are rated to IP67, which means they are submersible in water. The models are PX-780 for the display model, and PX-700 for the non display. D STAR or DMR. Which has better sound? Some people say D STAR has better audio than DMR.